Facebook has been busy rolling out updates this month, so Website Magazine put this information in one place to make it convenient for ’Net professionals to catch up with the social network’s latest news. 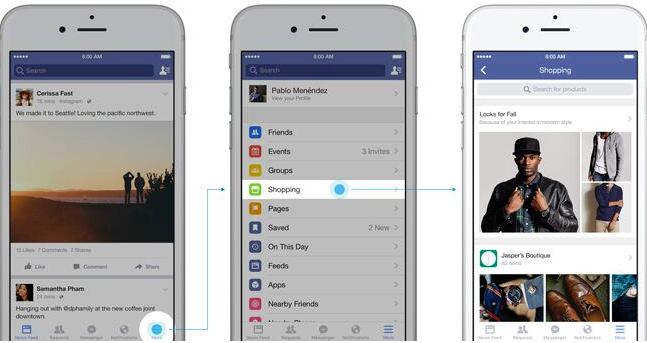 Canvas is a new ad format that Facebook has been testing since June. Now, the social network is testing a new, full-screen experience within Canvas. After clicking on an ad, consumers will see a fast-loading, full-screen ad where they can browse through a variety of products before converting on the retailer’s website. Since people discover new products across multiple areas on Facebook, the social network is starting to test a place for people to more easily discover, share and purchase products. 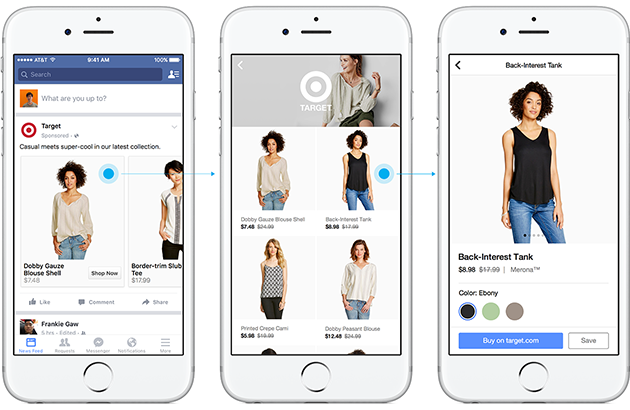 The test will be conducted with a limited set of small business in the U.S. who are also testing the Shop section on Pages (a feature that Facebook announced in September). Participating businesses will be able to have their products appear in this section, and the social network notes that it will explore incorporating additional contnt into this section (like items listed for sale in Facebook Groups) overtime. In this update, Facebook notes that it is testing suggested videos on the iPhone to make it easier for members to discover multiple related videos in a row after they tap on a video from the News Feed. So far the results have shown that people who have seen suggested videos are discovering and watching more new video content. While this feature has been rolled out to most iPhone users across the globe, Facebook is beginning to test ads within the experience, and is also starting to test the feature on the Web with plans to test it on Android phones in the coming months. Facebook is also testing a way for people to multitask as they watch videos. Facebook is doing this by testing a way for people to watch a video in a floating screen while simultaneously multitasking on the social network. 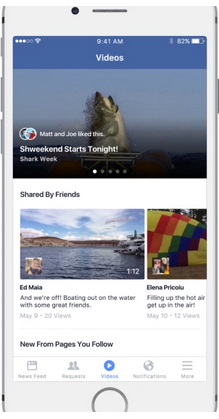 Moreover, Facebook is testing a button to allow users to save videos to watch later. These videos can be found in users' “saved” bookmarks. Facebook notes that it is testing a dedicated place that people can go when they want to watch video exclusively – whether its video they have saved for later, videos from friends, videos from Pages they follow or videos from other publishers. This section aims to help people discover, watch and share videos from the social network that are relevant to them. The section can be accessed via the “Videos” icon at the bottom of the Facebook iPhone app or in the “Favorites” section on the left-hand side of the News Feed on the Web. That said, the feature is currently only be tested with a small number of people. To help publishers better manage and control their videos on Facebook, the social network says it has begun testing a new video matching technology with a set of partners, with a long-term goal of providing a new comprehensive video management system to all creators. That said, Facebook has rolled out new video tools for Pages, like updates to Page Insights and video upload improvements, to help video publishers grow in the meantime. Initially launched in May, Instant Articles are now available to everyone on the iPhone. 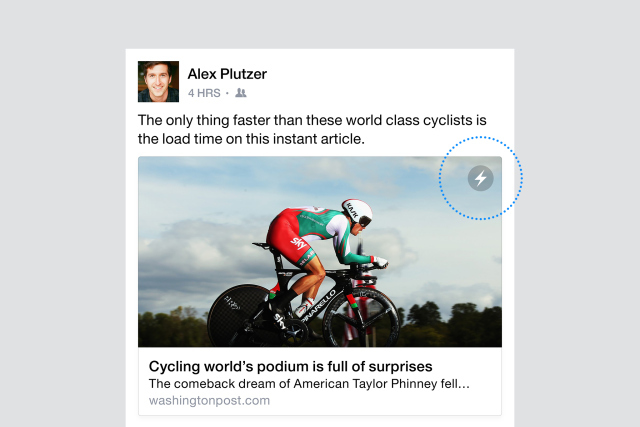 With the update, everyone who leverages the Facebook for iPhone app can read thousands of Instant Articles every day. Members simply need to tap the lightning bolt on the top right corner of participating articles to have the story load 1 times faster than a standard mobile Web article. The feature is expected to launch on Android later this year. In an effort to diversify the tech industry by helping people start programming careers, Facebook has launched a new website called TechPrep. According to Mark Zuckerberg, the website shows parents and students what programming is, why it is important and what types of jobs are available for people who can code. The goal of the site is to improve diversity in the tech industry by helping more people take advantage of the opportunities created by the Internet. 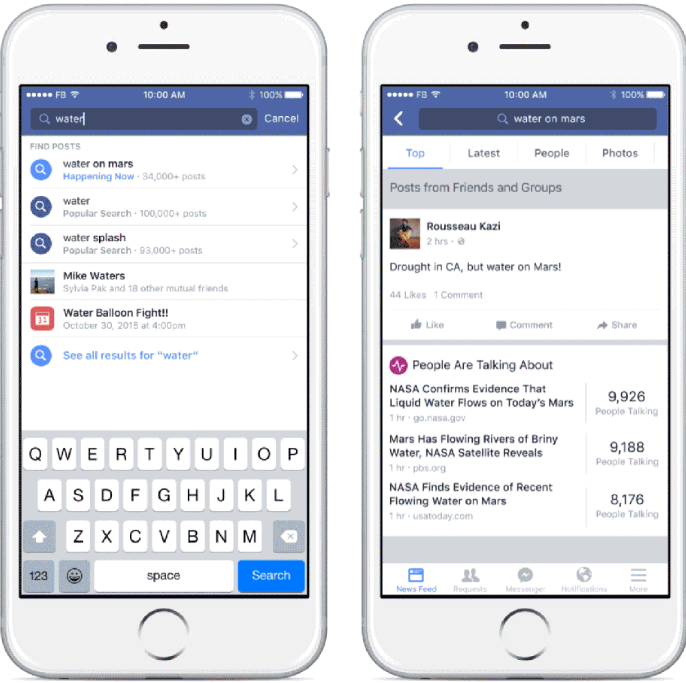 With more than 1.5 billion searches per day and 2 trillion posts in Facebook's index, the social network has updated its search functionality to helps users find more information. With the update, users have the ability to search not only for friends and family, but also for posts related to specific topics. In fact, the update offers timely and personalized suggestions as users type in the search box, and the results turn up posts from a user's friends as well as other relevant public posts. This also means that users will be able to find public posts related to specific links, view popular phrases and quotes mentioned in these posts and check out an aggregated view of sentiment. It is important to note that the new search experience aims to provide Facebook users with a personalized and unique experience that they can't find anywhere else. Moreover, the social network will be improving upon its new search functionality as it receives feedback from users.